At Catwalk, we provide a variety of different hair removal services so that you can choose which service is best for you. If you’re not too sure which service you want to go ahead with, you can have a consultation with one of our team members and we’ll be able to provide some recommendations! Waxing is a quick and efficient way to temporarily remove hair from the root. It will generally last between 4-6 weeks. Our wax is a gentle formula that is tailored for sensitive skin. Threading is a unique technique used to remove hair from the root and provides ultimate precision as it allows the technician to create dynamic and defined lines. The process is also fairly quick and removes several hairs at a time, without too much pain or redness! 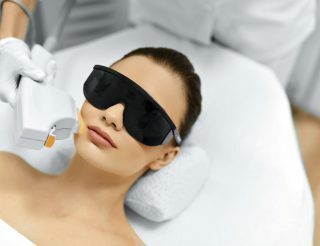 IPL hair removal uses broad-spectrum light technology to target the hair shaft and root. The light then heats and destroys or weakens the root, causing the hair to fall out. With SHR technology, the hair removal process uses only 50% of the energy for removal, whilst the remaining 50% is absorbed by the cells responsible for hair production. This treatment reduces the likelihood of hair growing back and results in permanent hair reduction.